Embracing the concept of an indie author as much as possible I do most of my own work from the writing of the project to formatting and designing the cover. The only aspect of the project I do not trust myself with is the editing of the manuscript. For that I use the services of an old friend of mine who has been writing a bit longer than I have. 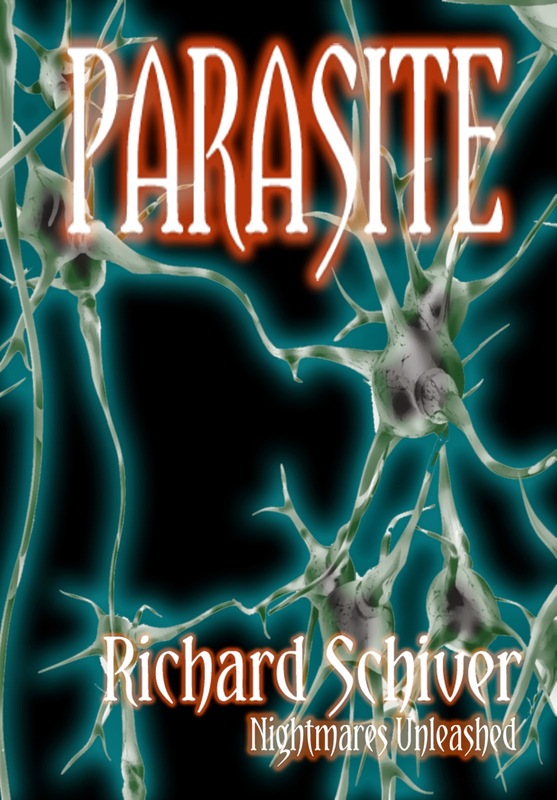 A well regarded speculative fiction writer in her own right, Patricia's work has appeared in a wide range of both pro and semi pro markets over the past twenty years, and she has managed to make it onto Ellen Datlow's best of lists a number of times throughout the previous years. Editing aside I wanted to take a moment to talk about designing my covers. 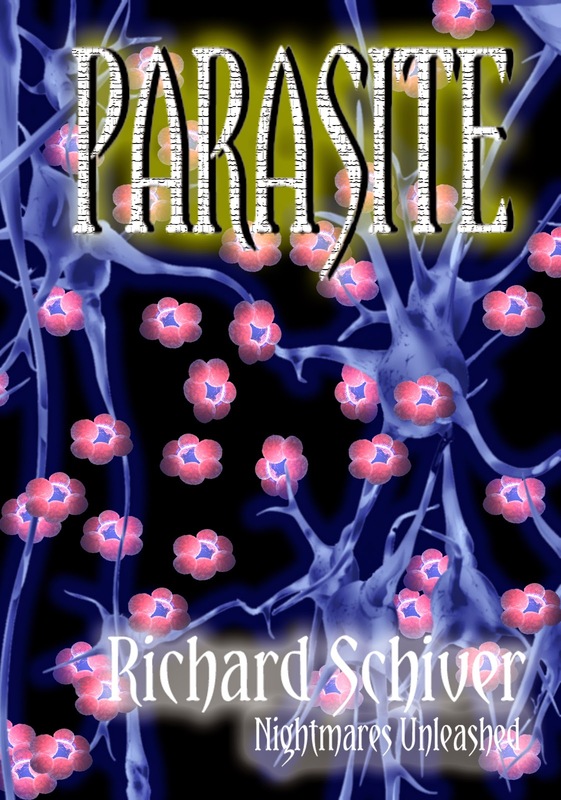 In a perfect world I could easily afford to have award winning designer Jerone Ten Berge design my covers for me. 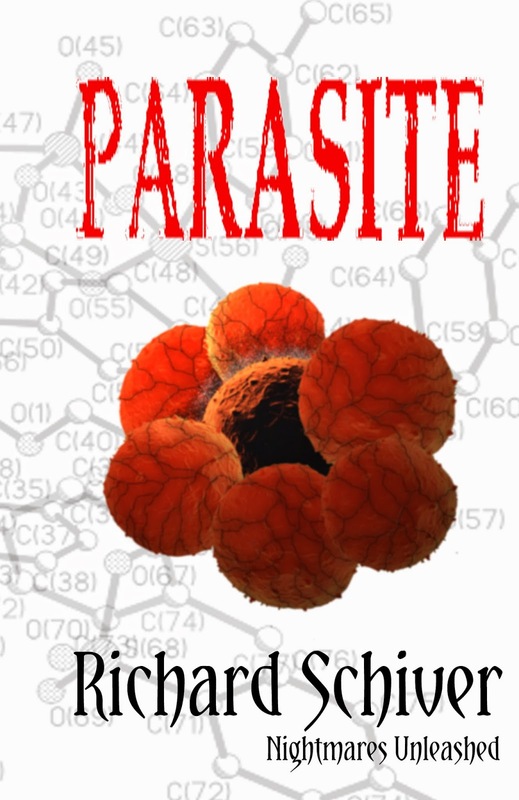 Alas, tis not a perfect world, and as such I am forced by circumstances beyond my control to create my own covers. 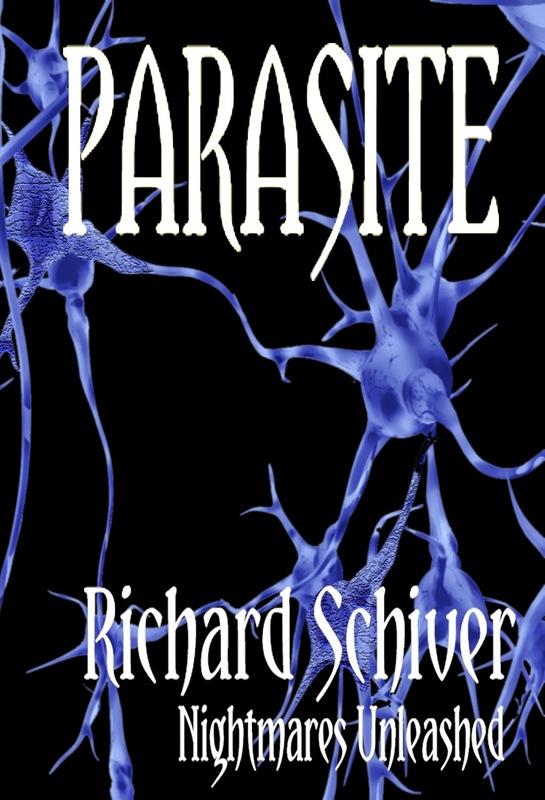 My upcoming release is Parasite, part II of the Shadows of the Past series. 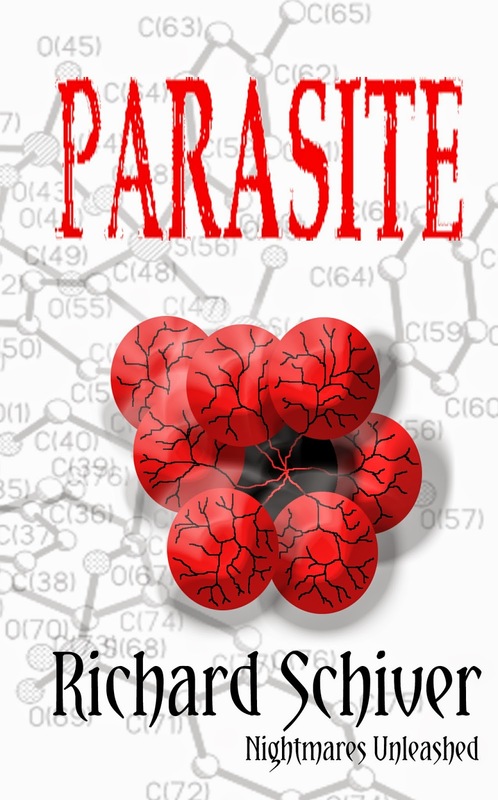 My initial thought for the cover was something along the molecular level to show how this invader was taking over the planet one person at a time. Starting out simple I sketched the idea out in Photoshop. A group of cells in the center with one bad cell slowly taking over the others. the Chemical diagram in the background was to represent that molecular level. Got to looking at it and thinking about it and realized I didn't really like the way the cells looked in the first one. kind of amateurish. Yeah, don't remind me, I know I'm an amateur. I wanted something more realistic so I came up with this. 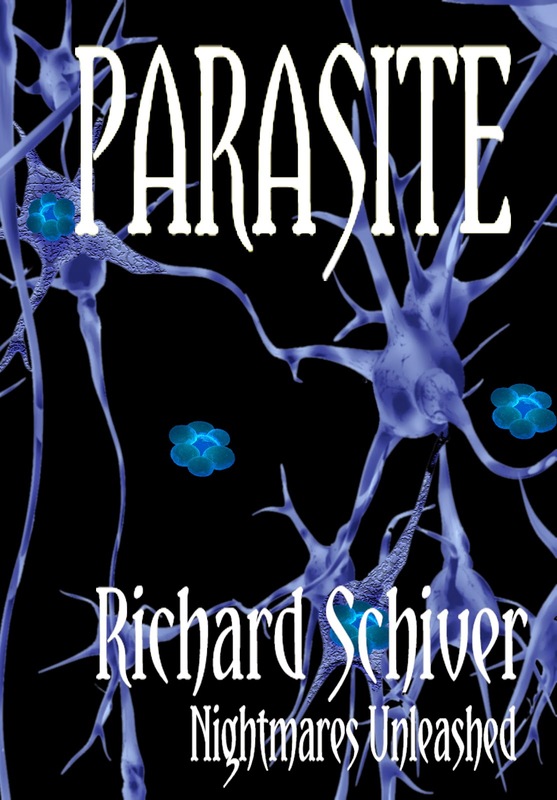 But then I got to thinking, I sometimes believe I think too much, but anyway, while the cover above did portray the cells in a more realistic manner, would anyone catch its intent? What if I showed a neural network? Thus the cover below was born. But what about the cells taking over the system? Oh no! Attack of the flower mites. What if I showed the change in the network? Now we're getting somewhere. Fully subscribed to the KISS (Keep It Simple Stupid) theory. But how did they get there? Much better. Clean and simple with just a few cells that blend more with their surroundings. Labels: cover design, Ellen Datlow, indie writing, new release.